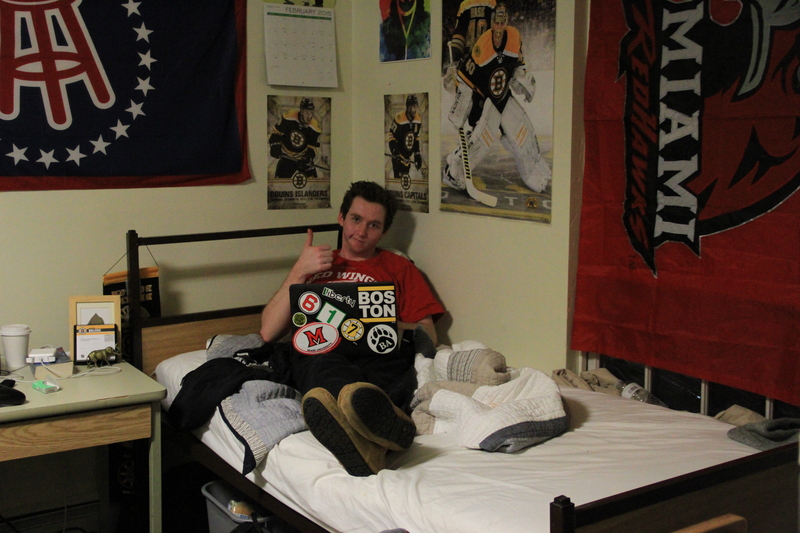 Bridgton Academy’s residence halls are meant to serve as a home away from home – simply because, for most of our students, it’s their first time away from home. Most students have at least one roommate since most rooms are set up as doubles, however there are some dorms on campus that house triples as well. All dormitory rooms are furnished with a desk, chair, chest of drawers, bed & mattress, and a wastebasket. There are faculty apartments within each dorm and each dorm is treated as a home. Students may find that their dorm is home to families with young children that become little brothers and sisters to them, as well as pets that become as big a part of their time at Bridgton Academy as their teammates, coaches and teachers. Students are expected to keep their rooms clean, maintain appropriate noise level, and respect his neighbors. Dorm parents are there to offer students guidance and support as well as to ensure a safe and supportive living environment while seeing that each student develops a sense of personal accountability within the dorm – or even to be a sympathetic ear after a tough day, to sit and play a board game, or simply to hang out and be a part of a student’s time here at Bridgton Academy.